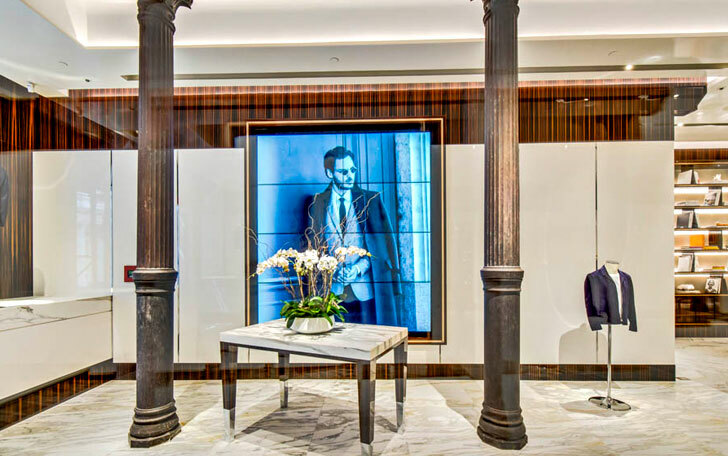 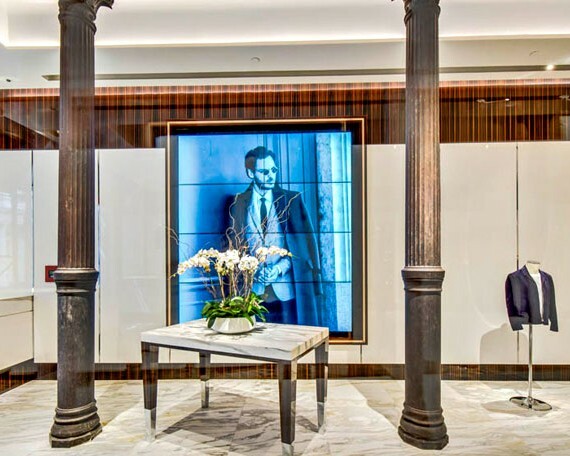 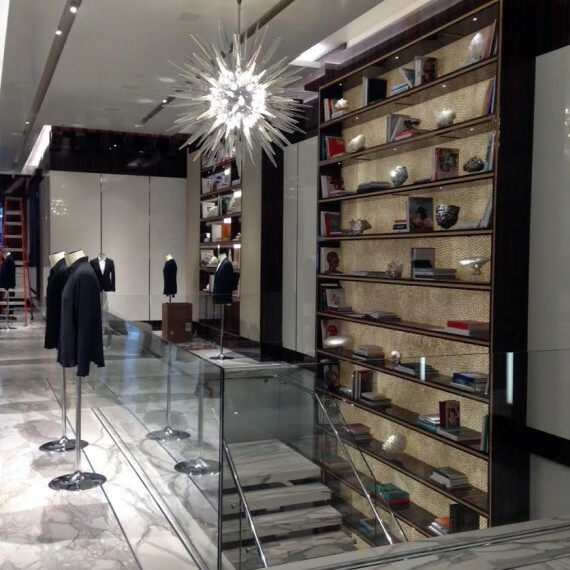 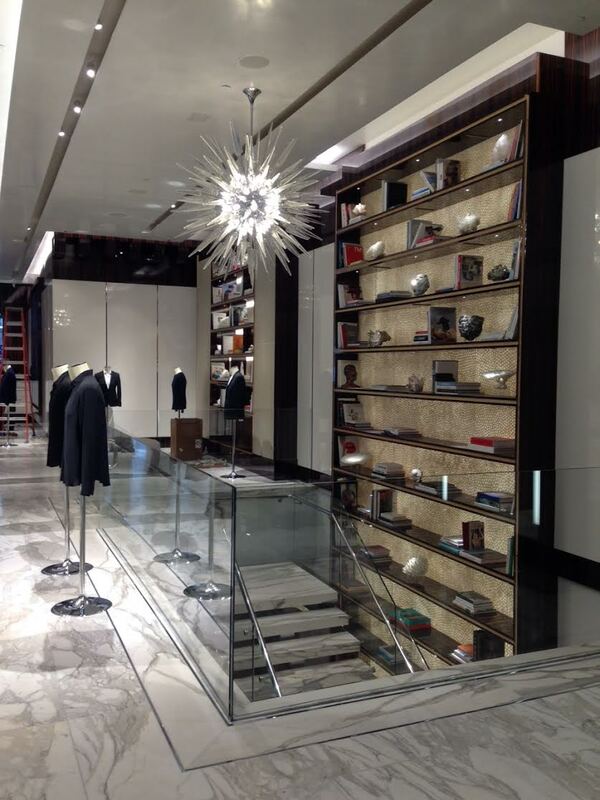 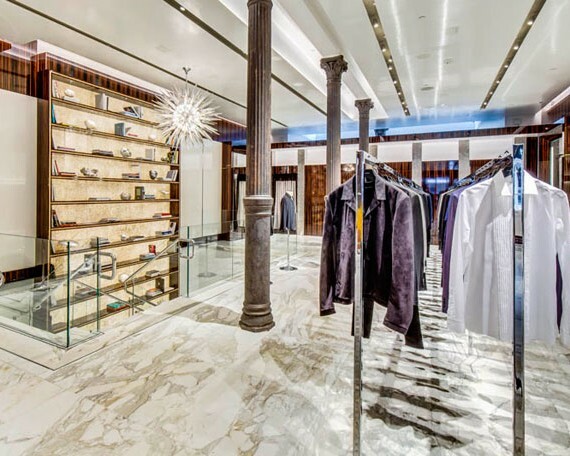 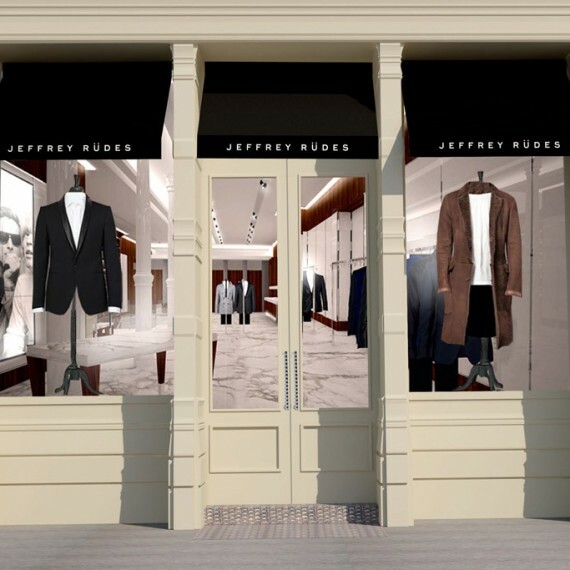 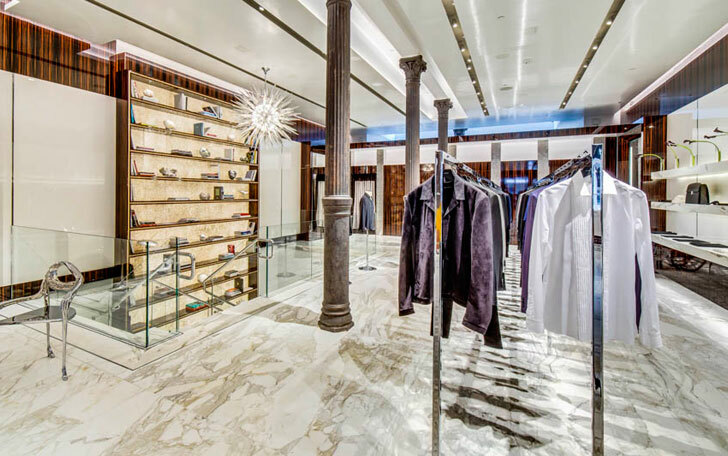 This is one of the more recent installations in New York City, this commercial retail store houses the Jeffrey Rüdes Collection on Greene Street, In the downtown area of Soho in New York City. 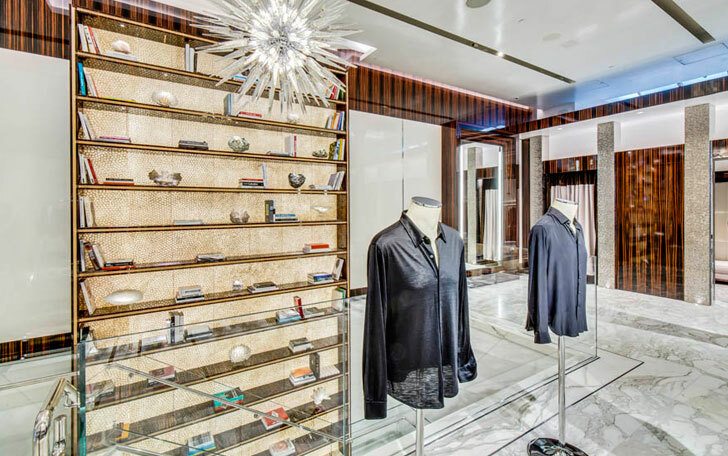 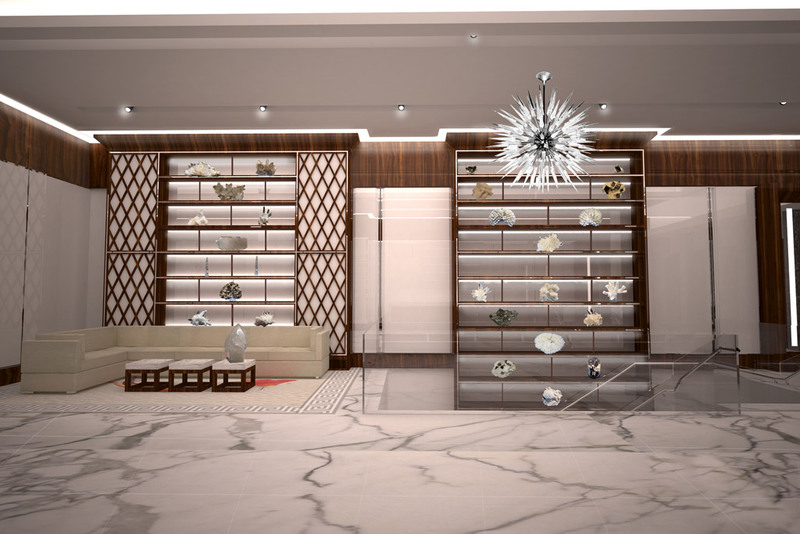 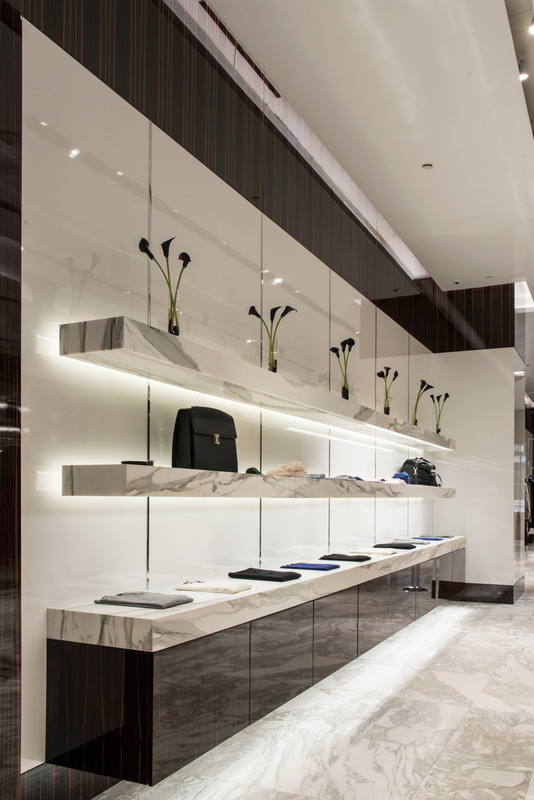 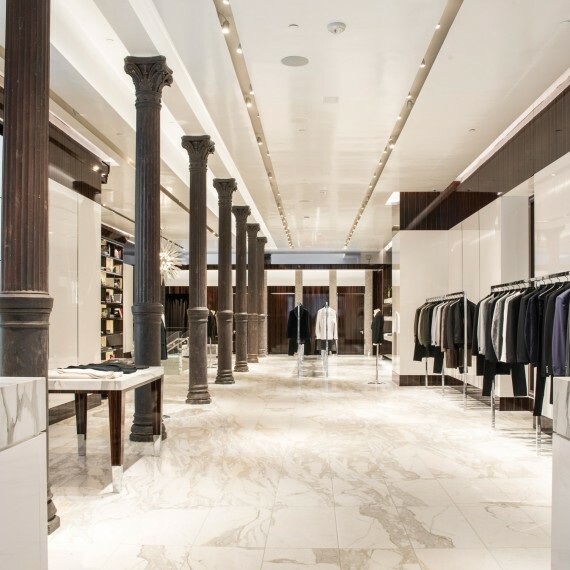 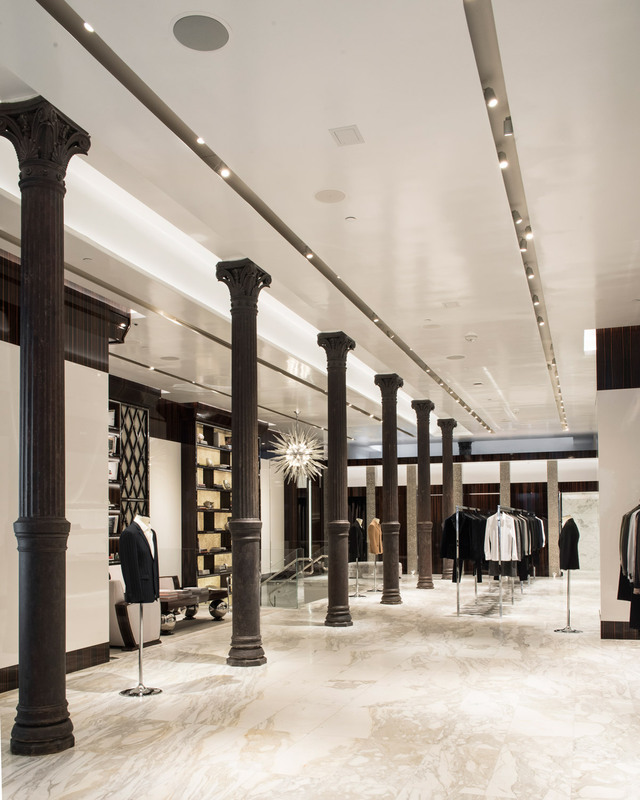 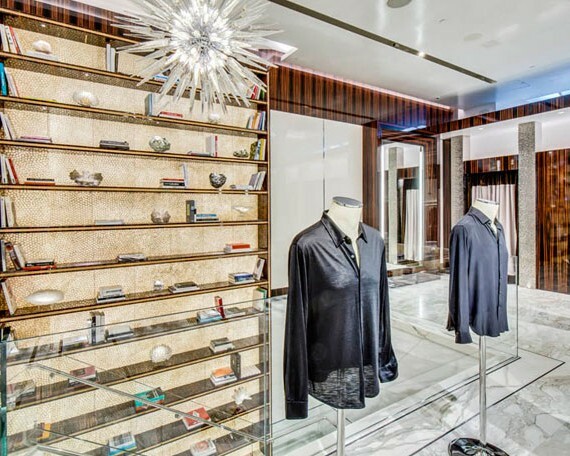 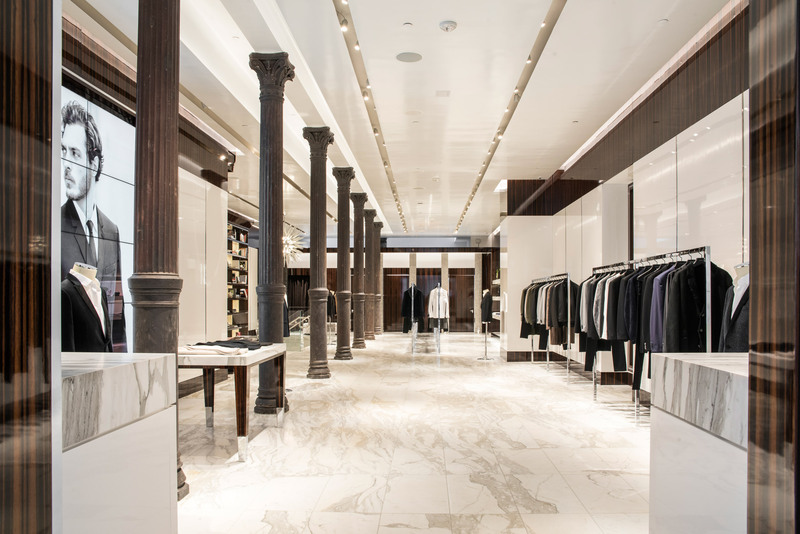 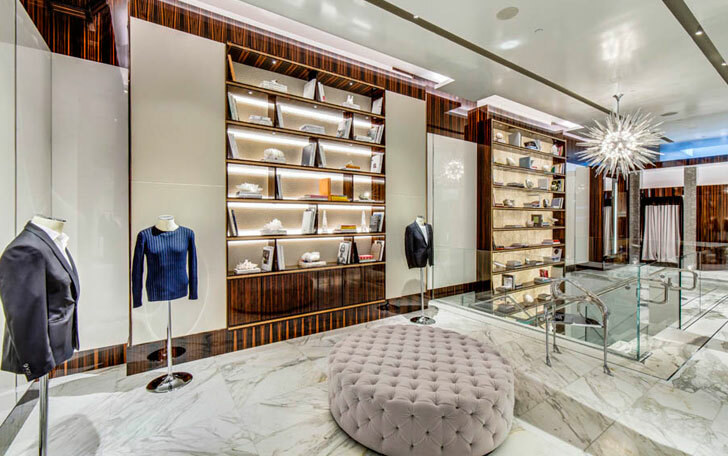 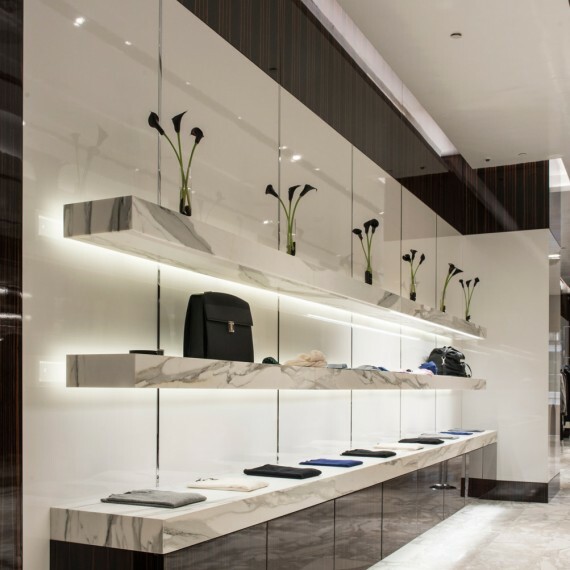 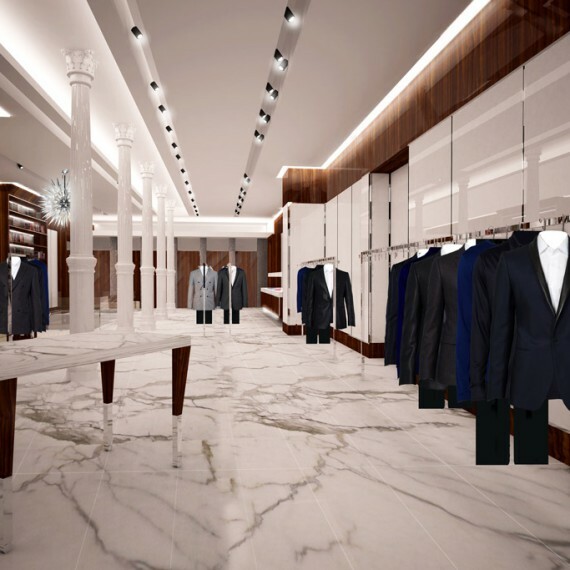 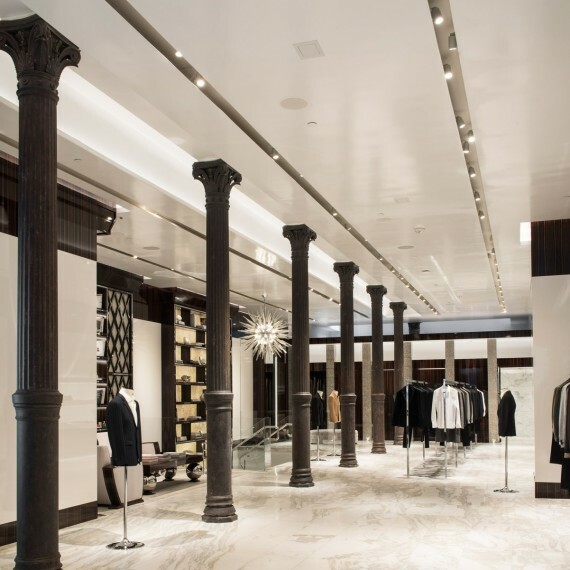 This is a two floor street level retail space done in 2015 focusing on classic design with an art deco undertone. 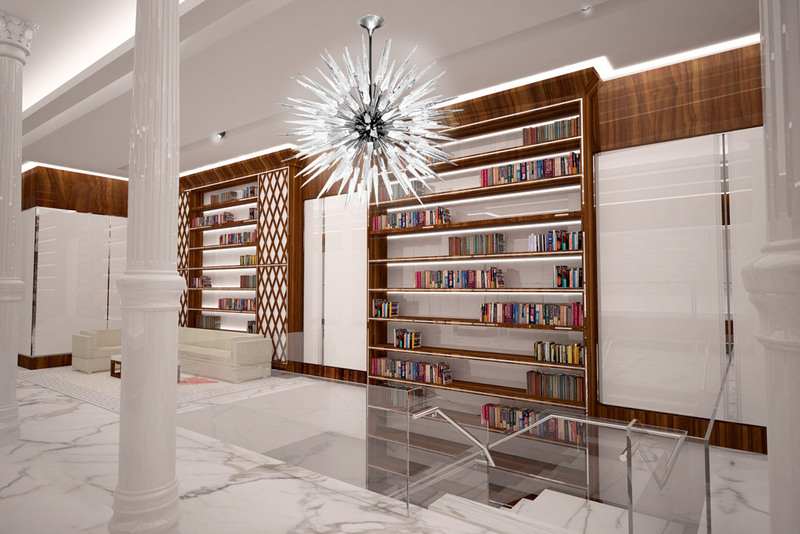 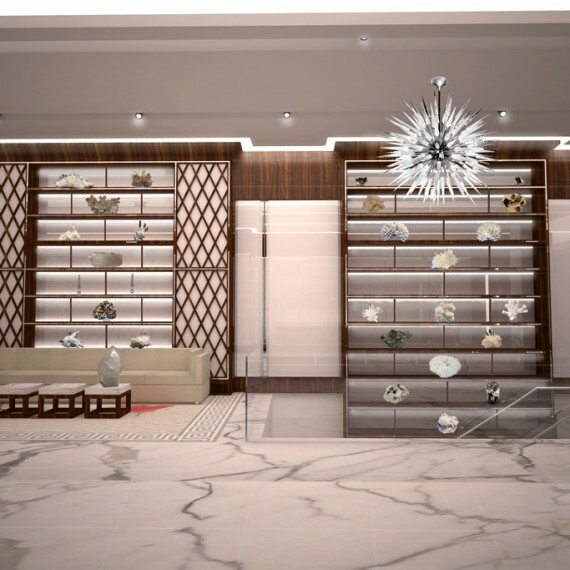 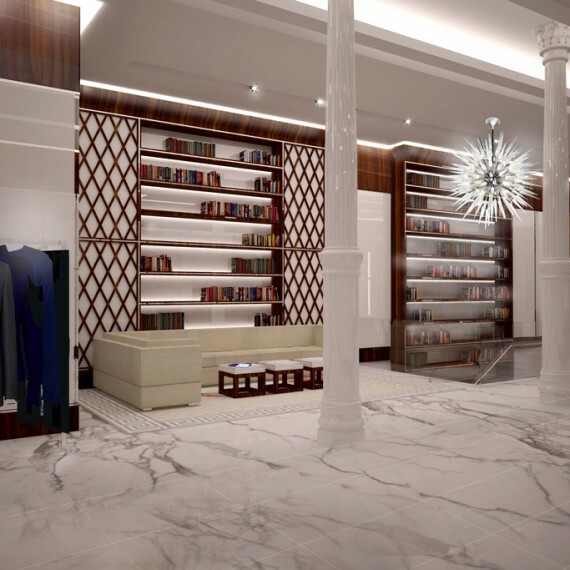 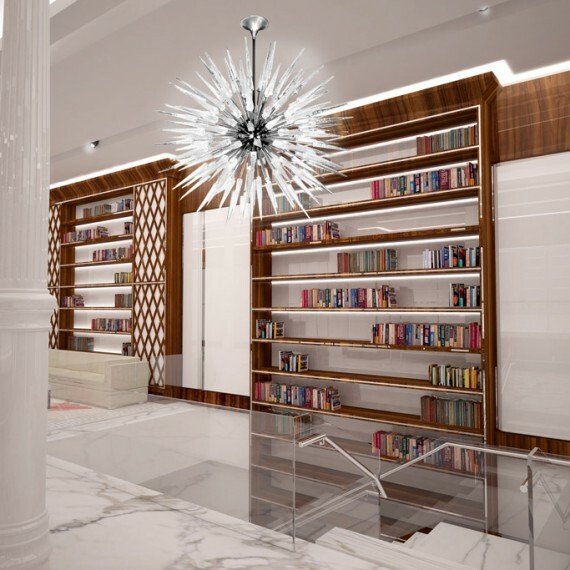 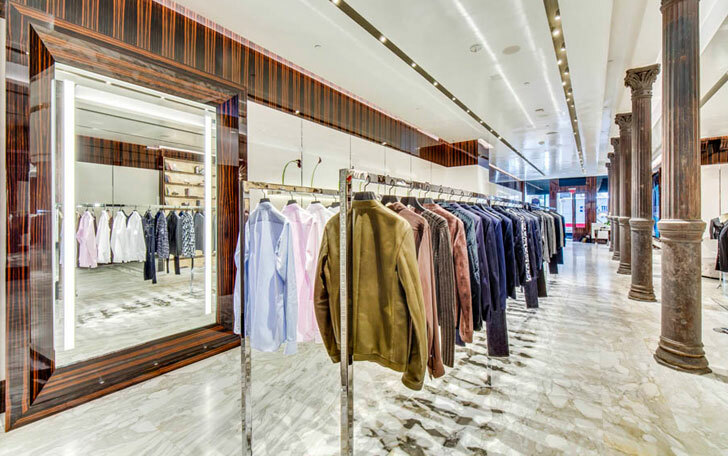 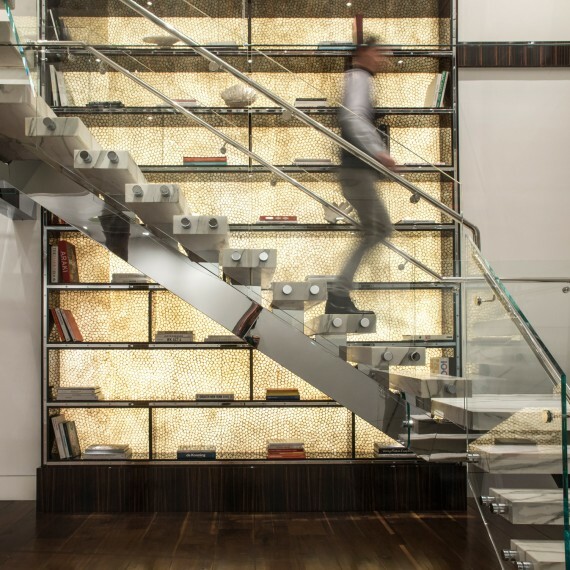 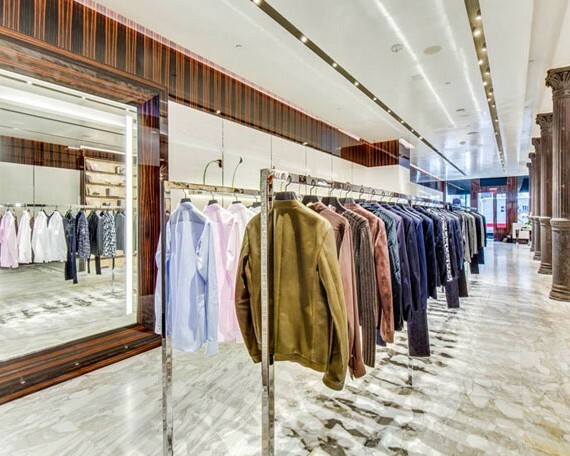 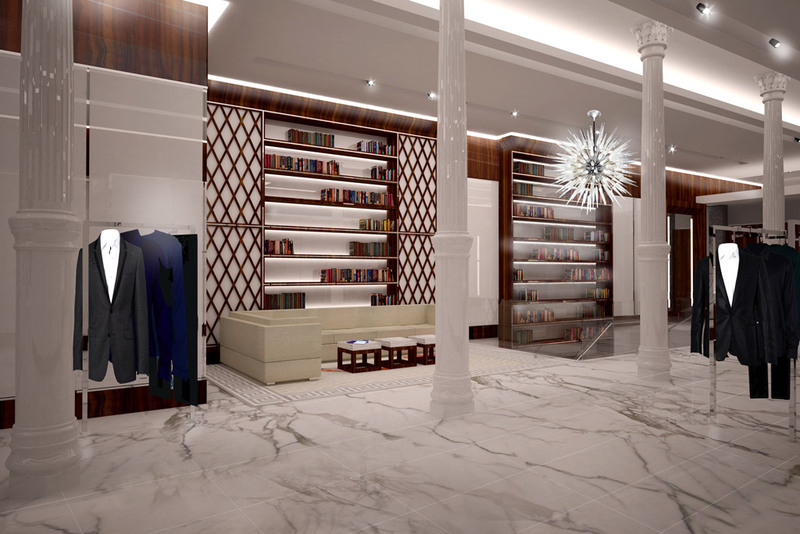 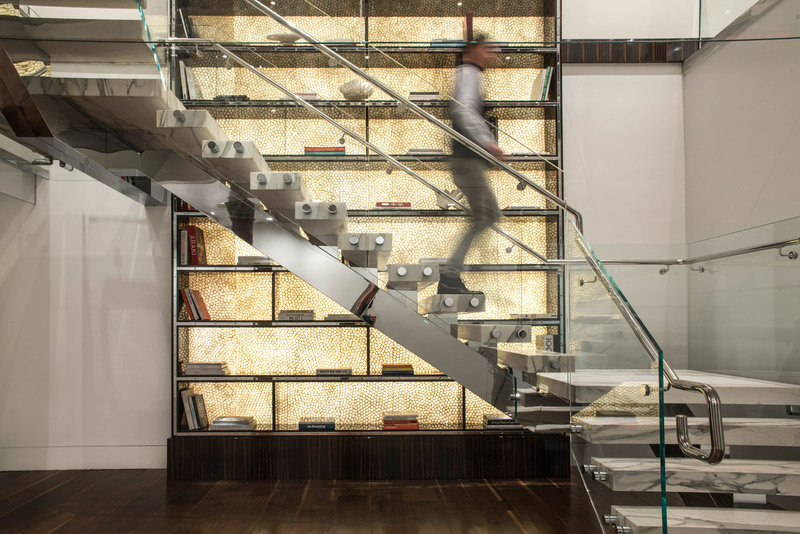 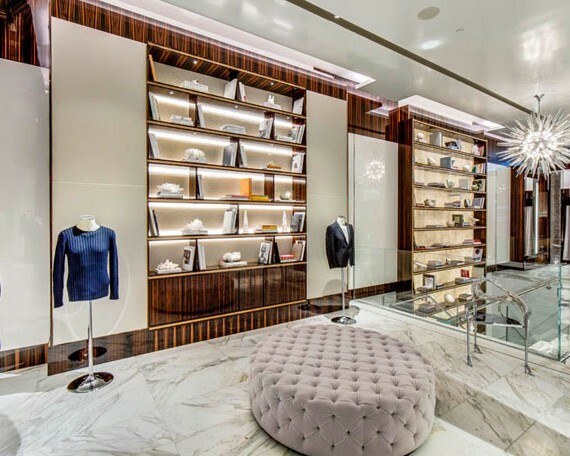 The interior design is masculine, light, bright and Airy with custom furniture extensive lighting design, a VIP area in the lower and elegant dressing rooms. 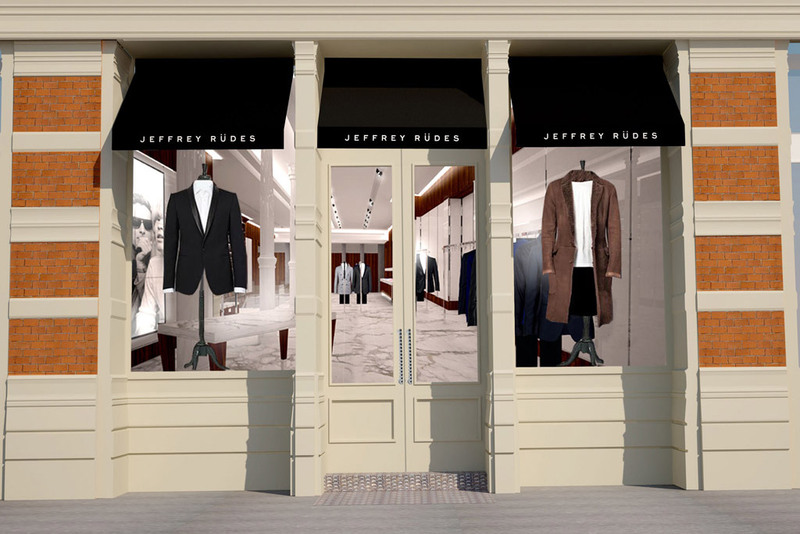 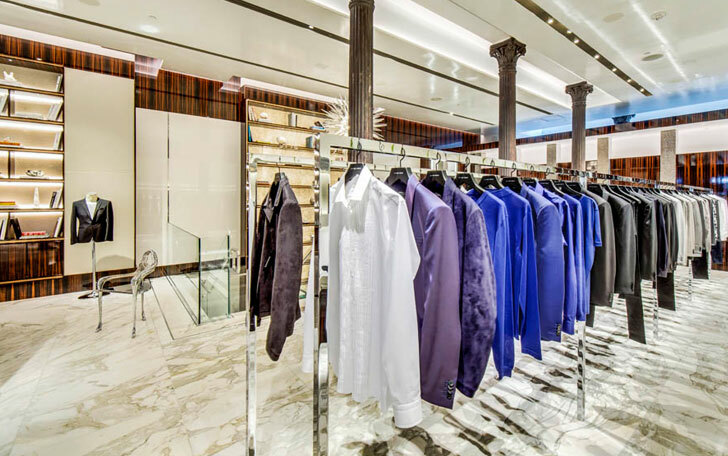 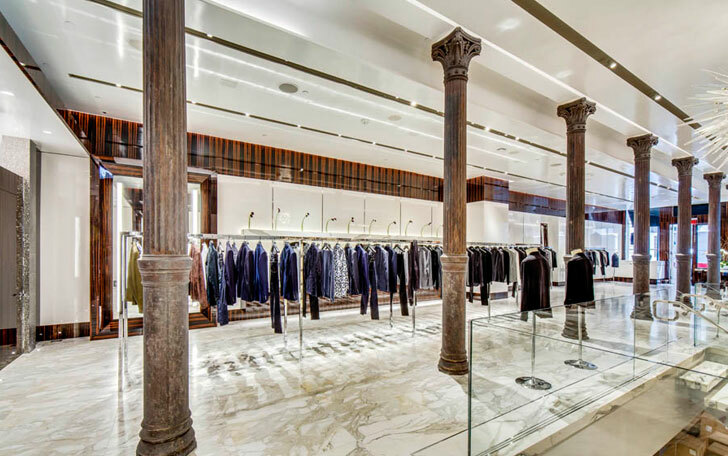 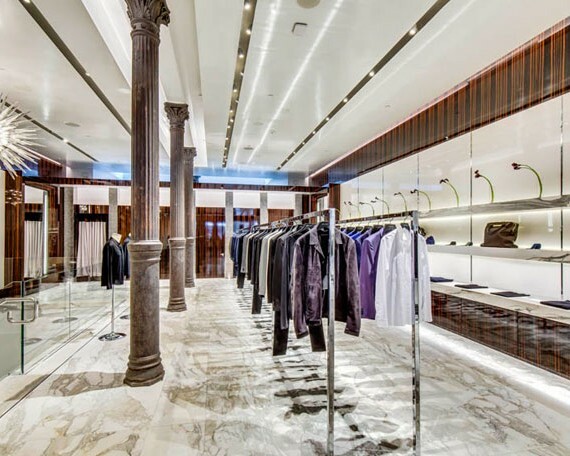 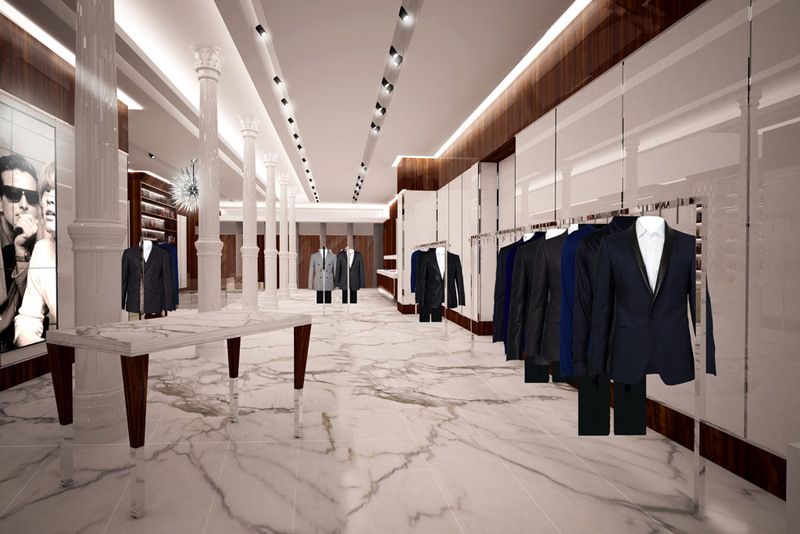 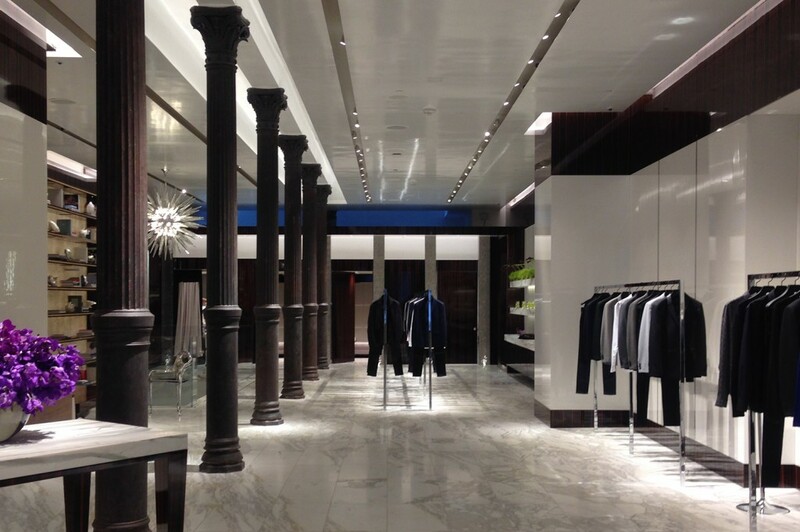 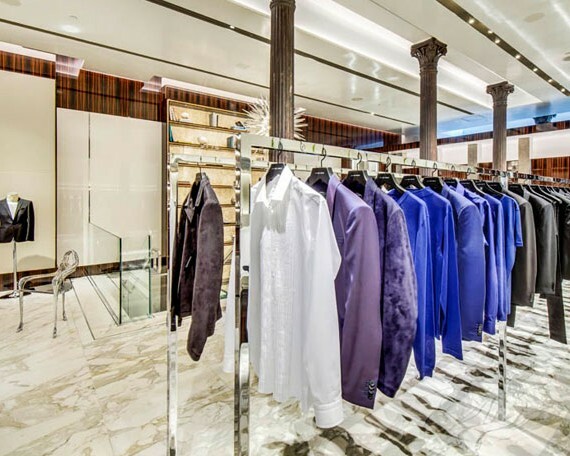 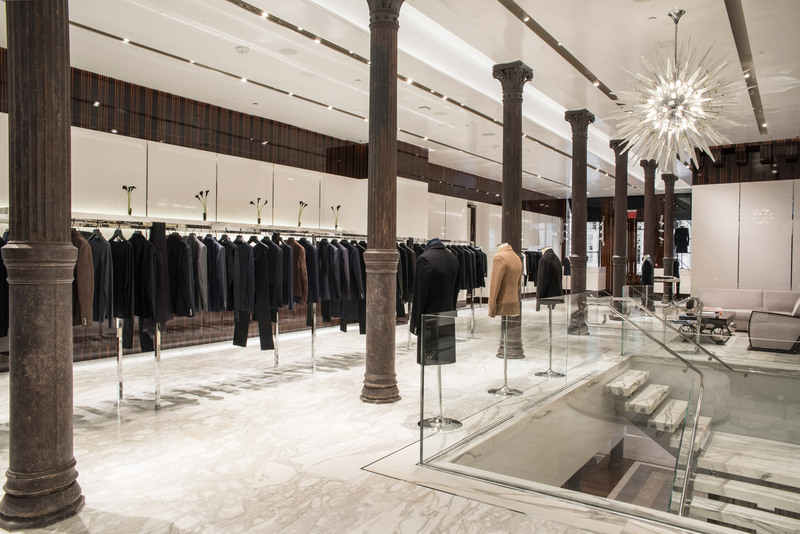 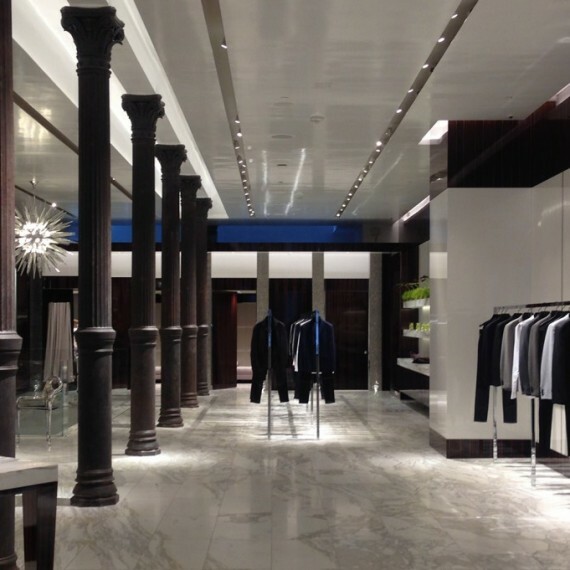 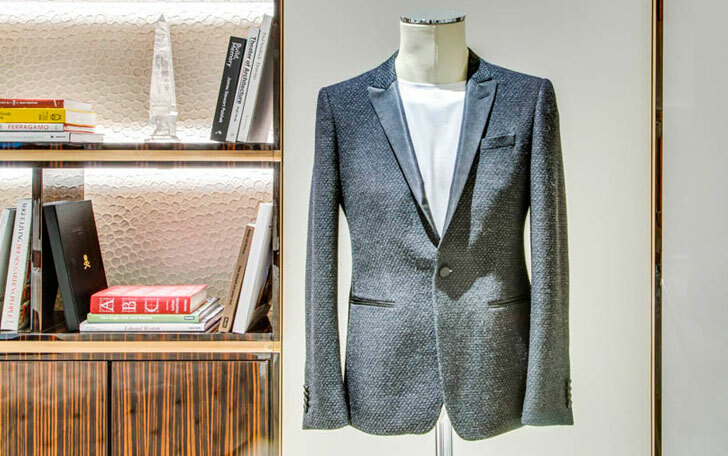 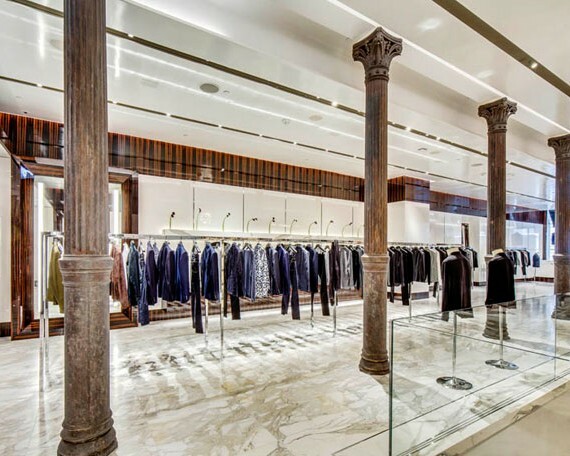 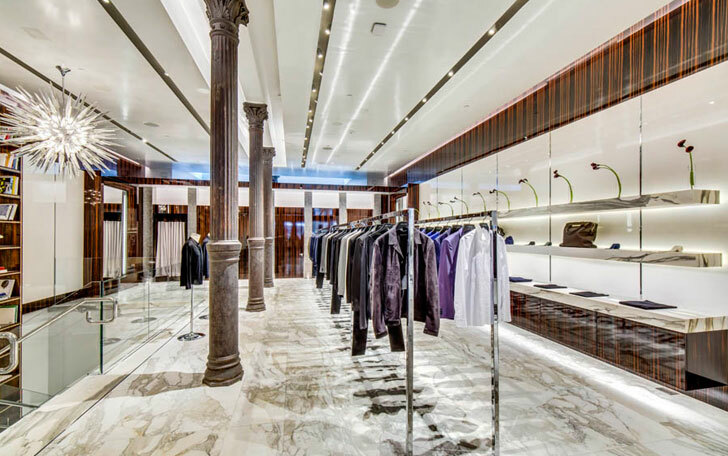 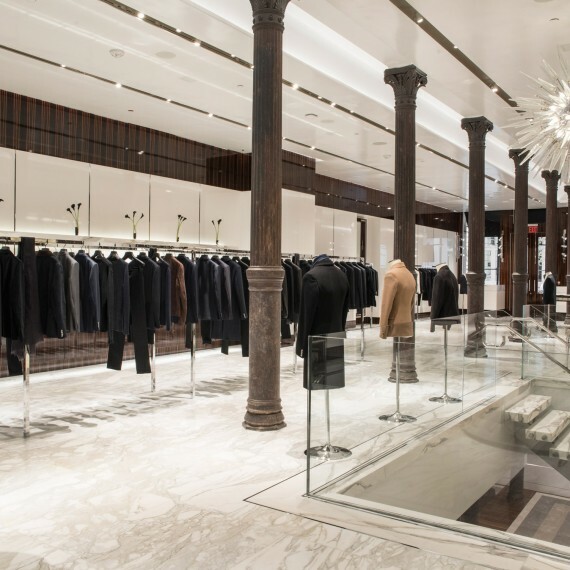 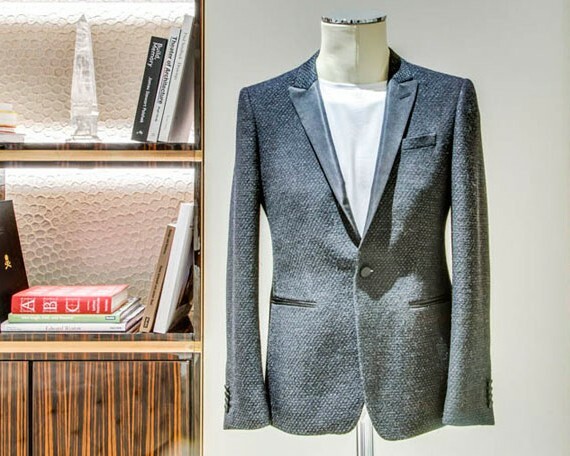 When in Soho visit Jeffrey Rüdes Menswear at 57 Greene Street at New York, New York.